This method netted me a cool £15m. I bought, bought and kept on buying until my portfolio hit 200 properties worth £15m and I started with only £500. If you want a guarantee that you’ll be rich and can play the long term game (greater than 10 years) then this model comes highly recommended from yours truly. The market has changed slightly where property prices were rising when I bought but this does not mean you can not do the same on the way down. The whole industry of Below Market Value (BMV) properties emerged in 2006/7 and purchasing property with sophisticated legal no money down techniques has now become the norm for those people in the know. Now some of you may be thinking I am encouraging mortgage fraud as there are no such things as 100% mortgages however the opposite is true. All these techniques are disclosed to the lender and are CML compliant. Remember that the transaction of purchasing a property has to go through two solicitors, one for the buyer and one for the seller, and solicitors do not like to get involved in fraud. These techniques are acceptable to the lender at the time of going to print. Until these loopholes get closed down (if ever) you can build very large portfolios in short periods of time. What I am about to tell you is what I tell my consultees who pay a large consultation fee to find out! Now there are key bits in each of the steps which I want to emphasise so you really get it. So lets move on to the first part of the formula “Decide what you want”. A little bit more than you have already? More than your parents or other family member? Lump sum – do you want a lump sum of money? A specific amount? For example £1m pounds. Is there something out there (like a dream house to live in) that you want which you can quantify the value and set this as a target. Equity – equity is the value of the property portfolio less debt. So if you had a portfolio worth £1m and mortgages totalling £500,000 then the equity is £1m - £500,000 = £500,000. Equity as a target can be a good target as it sets your net worth. It can be quite comforting to know that if you sell up you can get a lump sum of say £500,000 being the equity in your portfolio. Monthly Income – one of my first targets I set was monthly income. I wanted to match my salary I got when I used to work which was £1,700 per month. A monthly income is a real income and can be a great motivator as you can spend everything you make! So do you have a monthly income you would like to make so you can live the life you want? Number of properties – my current target is to own 1,000 properties. Don’t ask me why! I like the sound of 1,000. 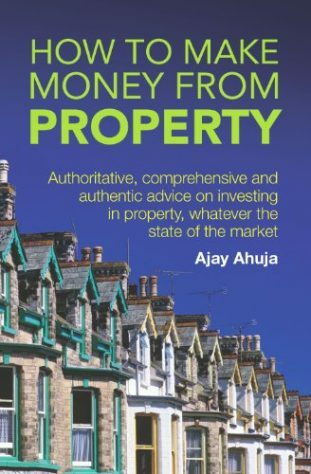 I believe, wrongly or rightly, that if you own 1,000 properties you are a proper property player. Whether this is true or not it does not matter as it inspires the hell out of me. Do you have a target number of properties? 10, 100, 1000, or even 10,000? Portfolio Value – a lot of property investment clubs used this target to lure you in. I am sure you have heard of catchy headlines by these companies like “Become a property millionaire” or “Build a million pound property empire” etc. They were all talking about portfolio values. Does the size of value of a portfolio float your boat? I have to admit a big driver for me was to break the £10m portfolio value. £10m is an eight figured number. Wow! Now that is BIG! Rental Income – rental income can be another good target. It just looks at the revenue you can earn from the portfolio. It works quite nicely as if all your mortgages are on repayment then you know after the term of the mortgage you can expect to earn that income as pure profit. And the great thing is rent is inflation proof so the rental income will be a real amount in the future. I want you to bear this in mind when you are putting a date to your target. If you have nothing and you want £1m and you want it in 6 months then you have to appreciate you are going to have to take some large risks if this target is to have some validity. There are many people who have made £1m in 6 months but they would have taken a fair few chances along the way. If you have a low attitude to risk then make sure you put a large timescale on your target. If you have a high attitude to risk then you can, only if you want to, put a short timescale to your target. If you have a medium attitude to risk then pitch it somewhere in between! So you should be able to create a target with a timescale. Stand back and look at it. Think about it some more and then revise it. This target is going to be your friend all the way through this process so I want you to become a real friend to this target. He is going to be in your back pocket at all times for you to pull out and look at from time to time. Now if you are confident in the target you have set (as you already were halfway there before reading this) then well done. However if you need help with revising your target in to a true friend then read my golden rules of target setting. If you are unemployed, have no money, bad credit, a low attitude to risk and want a £10m property portfolio in 6 months then you have to admit this might not be achievable. You have to set a target that is achievable. There is no point day dreaming or waiting for a miracle for the target to be achieved. What will happen is that quite soon you will realise that the target will not be achieved and then you will lose interest. Trust me it has happened to me many a time. I get great ideas, put an ambitious target in place and then find myself revising the targets downwards to keep them within reality to the point where the target doesn’t look that exciting anymore! So factor in all what I mentioned above. Look at your attitude to risk and your current situation. If you have £50,000 in the bank, have a medium attitude to risk and want to make £10,000 per month in the next 5 years then your target just might become reality if you stick to it. The target has to motivate and inspire you. It has to be something you not just want but really, really, REALLY want. A well constructed target will motivate you. Like I said earlier I set one of my first targets as £1700 per month profit which was exactly my net take home pay from my previous employment. I wanted to prove that I could do just as well being self employed as employed and the best measure of that was to earn my salary from self employment. This target had meaning. If I were able to achieve this target then this would mean that self employment had to be better than employment as the same amount of money had been earned however I was my own boss. This target I did achieve and it was a very powerful statement I said to myself that I could earn the same as I was employed off my own initiative and shrewdness. If that target was not motivating I do not know what would be! So choose a target you can get emotional about. If someone said to you you could never make £1m and it touched you where it hurts then use that negative energy and turn that in to your target and let that energy drive you to your target. The simple ones are the best. One of my best targets was getting my portfolio to 100 properties. There was no financial benefit for the portfolio to be that size. However it was a nice simple target. Ninety-seven, Ninety-eight, Ninety-nine……BINGO! Back in the day I knew EXACTLY how many properties I had and more importantly how many I needed to buy to get to 100. As you could imagine once I had broken the 90 barrier there was nothing stopping me getting to the 100. So make sure your target is understandable to you. If you are a brain surgeon or rocket scientist then you get a bit more complicated than others but make it something which does not require you reaching for your laptop to track. It has to stick in your brain. The target as said before is going to be your best friend not someone who you’ve forgotten their name! So setting a target yield of 11.45% may not be the best of targets. Setting a target of 40 properties by age 40 has a nice ring to it. £50m by age 50 is also quite memorable. It was the target by Jim Moore the founder of Inside Track. It has to be measurable. You need to know if you are on track. If you say had a target of 40 properties by 40 and you were age 30 and you had 5 properties then you know that this target is measurable and hence trackable. So if you were at age 35 and had 30 properties you were on track to getting to your target. If you only had 6 properties then you know you will have to play catch up. When it is measurable you can split the target down and plot its route. So if you needed to acquire 30 properties over the next 10 years then 3 properties per year would be the annual target if you chose to grow your portfolio at a steady pace (30 properties divided by 10 years). The more money you have the more money you can make. No one can argue with that concept. As long as you know what you are doing with this capital then the only thing that stops you from making it is the starting capital. People call this starting capital “seed capital” as it is this “seed” which can grow in to a giant oak tree. So if you are convinced of what you are doing you should plough ALL you money in to it. Now I have written a whole section on how to raise a starting capital in part V of this book. Please re-read armed with what I have just told you and go out there and raise some cash. You have to do it. It is the only thing that sets you apart from a day dreamer. There are plenty of people who want to get in to property with absolutely no money. They simply get left behind. To get involved you need some cash behind you to put in to the deal. Like I said the more you can get your hands on the more you can make. Once you have a bit of cash in the bank you can now enter the arena of investing…..
See where the ten ten comes from? Now I hope you understand what yield is as I have explained it a zillion times in this book but I will tell you briefly once again. Yield is annual rent divided by purchase price. So a 10% yielding property would rent out for 10% of the purchase price. So a property bought for £75,000 should rent for at least £7,500. 10% cash input is that you should put no more than 10% of the purchase price in to the deal. So if a property is being sold for £75,000 then you should aim to put no more than £7,500 in to the deal to cover deposit, legal fees, arrangement fees and any other fee associated with buying the property. 3. £75k is used to clear bridging funds of £70k and bridging interest of £5k. 4.sale goes through at £100k and the vendor gets their £70k and the £30k comes back to the middle person. Type F Borrow Deposit 1.purchaser borrows deposit via remortgaging of current home or portfolio, off credit cards, get an overdraft, unsecured loan or off family. 1. Buyer borrows £30k from family, credit cards, remortgaging etc. 4.Go in for a remortgage at 70% of value = £150k x 70% = £105k. 5. Redeem current mortgage of £70k and £30k additional borrowing from credit cards etc. Surplus £5k. Now these methods are all out there being used by investors all the time. My clients use some or all of the techniques to build portfolios out of their salary or profits from their other businesses. It has helped them build large portfolios that they would not have ordinarily had if they tried to buy the traditional method of putting down a 25% deposit plus fees. So apply the ten ten rule and use ALL your starting capital to invest. Do not leave anything other than working capital in your bank. This will mean you will get the greatest exposure to the property market as possible which is what you want. High exposure means you will benefit from the boom that will come around at some point in the future. Now a high exposure means you are exposed to the downfalls as well however if you have bought high yielding properties it really wont make much difference. Yes your portfolio value will go down but on a monthly basis you will not notice anything as the rent will still keep on coming and the costs will be the same. Once all your cash is invested it is just a waiting game. How long that wait is no one knows but when the wait is over you can say hello to expansion times as this is where you really start to hit your targets. The final part of the strategy is to Remortgage & Reinvest Aggressively. Now you have to wait for the portfolio to grow in value so you can get some cash out. One thing you are guaranteed is that property price growth will happen. I know this because property prices rise in line with general price rises. So as long as a you have wages rising you will have property prices moving upwards. The long term growth rate is rather unsurprisingly the same as the long term wage growth rate of 2.9%. However property prices like to yo-yo around the long term growth line. Now how and when these yo-yo’s occur should not be your concern. Your concern is to pounce when the market rises by remortgaging. £703,125 - £500,000 = £203,125. So lets say £200,000 to keep the figures simple. £200,000 divided by £5,000 = 40 properties. £100,000 - £12,000 = £88,000. Not bad for a bit of remortgaging and reinvesting. This is how I became wealthy. I kept on doing what I have told you above. I would just keep on raising seed capital from the equity that builds up in the property. And the great thing is lenders will lend. This is because each one of the original properties you buy for £50,000 will still be cash flow positive after the remortgaging. You add another £20,000 loan to each property which costs another £1,200 per year on top of the £2,500 annual mortgage payment but because the rent is £5,000 per year they are happy to lend as the rent is in excess of the mortgage payment (£5,000 - £2,500 - £1,200 = £1,300). So you can just keep going and going until you hit your target. Isn’t that wonderful? I find it so. Your future is really in your hands if you are willing to commit to a 10 year plan. It may take 4 years it may take longer but you can be reasonably sure it will happen within a 10 year period. And you really can do it with only one wave of property price increases. It all depends on your targets but if you buy well and remortgage to the maximum at the right times then you can increase your portfolio by up to 10 times if you get it right.